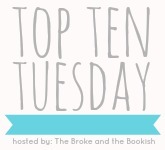 This week's Top Ten Tuesday prompt wants to know which settings would you like to see more of in a book? I really pay attention to where a book's story is being told, so for me, the setting is almost like a secondary character. I adore rich landscapes, but I also enjoy places that feel familiar to me. 1. The beach. I'm a beachy girl and so therefore I adore any story set on the sandy shores. There's just something magical about characters spending their days in the ocean, or around a bonfire at night. However, not all my favorite beachy moments happen during the summer months. There happens to be a certain CHRISTMAS BEACH COUCH story that I adore just as much. 2. London (or anywhere in England). I have very fond memories of spending summers here when I was 18-22 years old. It's a culture that I hold close to my heart, so when I read a story set here, I automatically have a fondness for it. 3. Pacific Northwest. I just recently traveled to Seattle and fell in love with how GREEN and luscious everything is. I loved the atmosphere and the attention they gave to their local vendors. I wouldn't mind reading more stories set in that area (and no, I don't mean Forks!). 4. Texas. It's where I'm from, so naturally I like to read stories set in my home state. 5. A small town. There's just something unique about characters set in a small town. It's fun to read about everyone's business and how they're all mixed together somehow. Growing up in such a large city, this type of lifestyle is so different for me and it always keeps me coming back for more. 6. A big city. A few of my favorite stories have been set in either New York City or Chicago. Both, of which, hold so much LIFE. Though I adore the small town settings, I'm a fan of the big city lifestyle, too. There's just so much to see and do! 7. Road trips. These are some of the best books, in my opinion. With the scenery constantly changing, it adds something new to the story as the adventure unfolds. 8. Deserted Island. I have yet to read a book that takes place on a deserted island, so why not? 9. A music festival. Another setting I have yet to read a book about, but I think it would be kinda cool - no? 10. Somewhere in the future. I'm still new to the time travel books, but I think the concept is really interesting. Casting your characters as themselves several years down the road, but still being able to bring them back to the present; a definite intrigue for me. I agree with you about time travel books. At first I kind of scared of them, so I didn't read many. However, the ones I've read have been really cool and thought-provoking, and not always sci-fi-y. Would love to see and read more of these. And I feel like authors could do more with deserted islands, too. Yes to England! The Pacific Northwest could also be interesting! Love more books set in Texas--gotta spread the state love, after all. I want more books set in the future as well. A music festival could be really cool. And I'm so with you on small towns. LOVE Small Towns! A music festival book does sound like a lot of fun! Would have never thought about a music festival, but seriously, that would be awesome! I also agree about the Pacific Northwest; while I hate to admit it, Twilight really turned me on to that particular area and I've loved all the books I've read since then that are set there! Great list!! a Deserted Island would be an amazing setting for a book. exspecially if it was a love story. I love books that are set on a deserted island! I read and reviewed On the Island by Tracey Garvis-Graves and it was amazing. 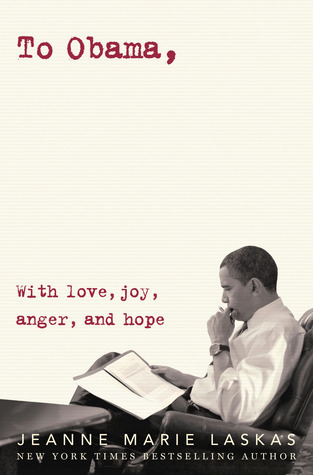 I totally recommend it to fill the deserted island void in your life! We have a lot of overlap. I want more European locales too. I didn't even think about Road Trips but I want more books featuring road trips. I like the idea of the Pacific Northwest. Seattle seems like an interesting town, and based on the number of supernatural shows set in Portland, I bet a read set there would be good too. A musical festival would be PERFECT! Big cities are fantastic and I love the potential they seem to have.